Glechoma is an aromatic, perennial (-10°F /-23°C), evergreen plant of the mint family, native to Europe but now semi common in North America. 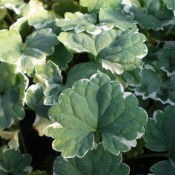 The interesting fan shaped foliage with scalloped edges of this creeper is fragrant. The flowers that bloom in the spring are funnel shaped, blue or bluish-violet to lavender in colour. Glechoma is best grown as a container plant as it can be problematic if left unchecked. This pretty trailer is perfect planted at the edge of containers, window boxes and hanging baskets. 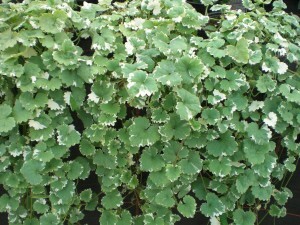 Glechoma, a perennial (-10°F /-23°C) ground cover, is grown for its distinctive and fragrant foliage. 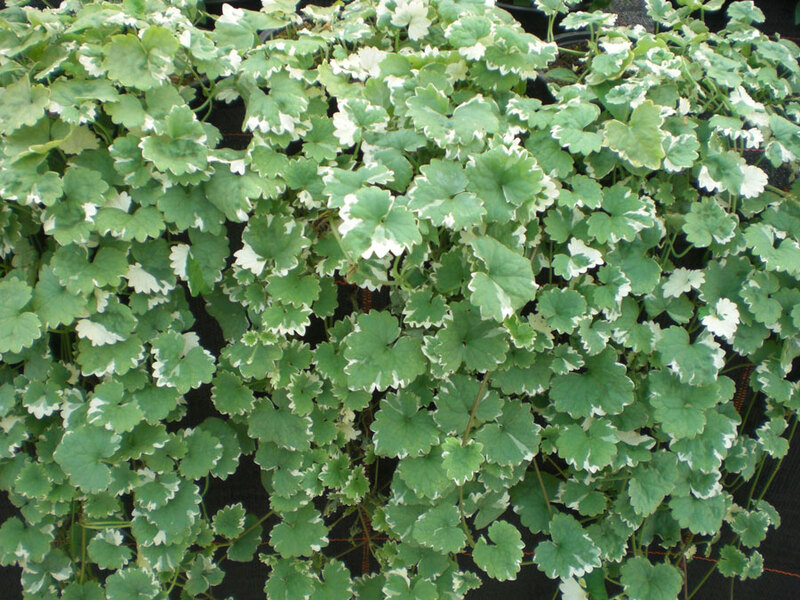 The interesting small, round, scalloped and variegated green and white foliage trails down over the edge of planters, window boxes and hanging baskets beautifully. Glechoma is best grown in containers because of its natural tendency to spread.